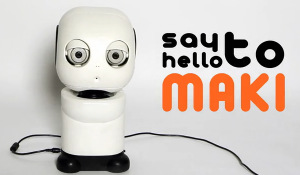 The folk over at Hello Robo have just launched a Kickstarter for MAKI, their 3D printable Humanoid Robot. MAKI is built around 6 DYNAMIXEL AX-12A controlled with the Arbotix Robocontroller. 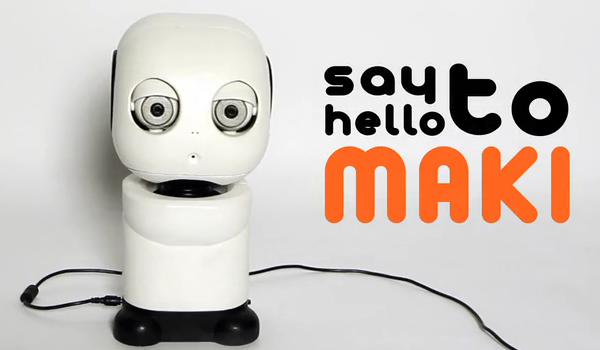 The current version of MAKI is a robotic head, capable of emoting and interacting with humans via it’s built in webcam. And while MAKE might just be a robotic head right now, Hello Robo plans to keep on adding functionality to MAKI to make it more and more versatile. The final strechgoal for this project involve upgrading MAKI to have two full robotic arms. Backers for the Kickstarter will get everything from STL files to print MAKI and T-Shirts to hardeware kits and even a fully built version of MAKI.